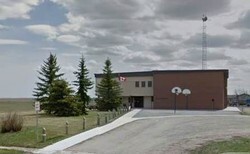 Champion School is located in the village of Champion, a farming community in southern Alberta, Canada within Vulcan County. It is located on Highway 23, approximately 74 kilometres (46 mi) north of Lethbridge and 147 kilometres (91 mi) south of Calgary, Alberta. We have 90 students in grades one to nine. We have an early learning program for 3 and 4 year olds. Kindergarten is privately run using a classroom in the school. Champion Community School is renowned for excellence in academic and sports programs, and for programs such as Band and Marine Biology (which takes place every 3 years). To provide a safe and caring environment where students are taught literacy skills and given the opportunities needed to inspire lifelong learning. It's easy, convenient and secure.